Arbiters take their caste duty of enforcing order very seriously. 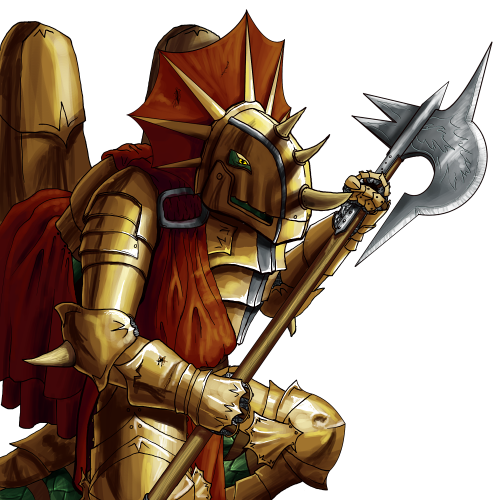 In order to better execute their duties, they have abandoned the drakes’ traditional hand-mounted claws and traded their spears for the spike and blade of the halberd. In their minds, the loss of maneuverability is a fair price for the raw heft the massive metal head provides. The thick plate these drakes wear protects them well against weapons that could slip between their scales.